Everton certainly don’t do quiet deadline days, whether it be failed bids, last minute exits or dramatic signings, it is hard to remember a transfer deadline day when Everton haven’t been heavily involved. Yesterday was no exception. Three signings, two exits and a failed bid for a Brazilian Octopus. Yet the best bit of business completed yesterday slipped through quietly and unnoticed. It certainly didn’t grab headlines on Sky Sports News, but the fact that Leighton Baines remains an Everton player speaks volumes for the ambition of new manager Roberto Martinez. It was hard to find a Blue disappointed with Everton’s transfer dealings today. But that almost wasn’t the case. At 10pm last night, one hour before the deadline, it looked liked Everton were struggling to push through any of the rumoured deals. Fernando, the FC Porto midfielder, for whom Everton had successfully secured a work permit, had tweeted his commitment to the Portuguese champions. 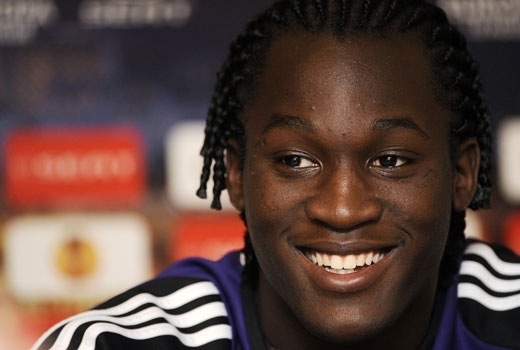 Sky reporters in the West Midlands were reporting a change of heart from Romelu Lukaku and the brilliant Belgium was heading back to the Hawthorns rather than a loan spell at Goodison. Dave Whelan had phoned any media channel willing to listen, to chastise Everton’s offer for James McCarthy and Manchester City were refusing to consider a loan deal for Gareth Barry. To make matters worse, Fellaini had appeared to make his Everton future untenable by submitting a transfer request and Victor Anichebe was already discussing personal terms with the Baggies. Fast forward an hour and the slamming shut of the window. Everton staff and the club’s board had worked tirelessly throughout the day and were rewarded with three brilliant signings. Even the outgoing deals could be celebrated, thanks to the fantastic negotiating that ensured the Blues received above market value for both Fellaini and Anichebe. Lukaku signed on a season long loan deal and will bring with him a fantastic reputation and huge potential. Unfortunately he will be unavailable for Everton’s next fixture against his parent club, Chelsea. Gareth Barry, a championship winner with Manchester City also signed on a season long loan deal and with only a year remaining on his City contract, he could yet become a permanent signing in 12 months time. James McCarthy, aged just 22 years old, signed from Wigan Athletic for £13m. The fantastically talented midfielder will fit seamlessly into the Everton team and knows Roberto Martinez well after spending the last four years under his leadership at the DW Stadium. If the arrivals are celebrated, it is with great sadness that two long serving players move on to pastures new. Fellaini’s departure has appeared inevitable, ever since David Moyes moved to Manchester United. The fee of £27.5m represents great business for Everton, especially consoling he had a £23.5m release clause that expired at the end of July. Victor Anichebe has been out of favour ever since Martinez arrived and Everton will be pleased to bank £6m for the former Academy graduate. Roberto Martinez promised Evertonians that they would finish the transfer window in better shape that they began and he was true to his word. Finally Everton have a striker to be feared and have recruited quality and depth to add to a talented yet under resourced midfield. Three draws from three so far, now is the time to start winning games and realising the massive potential in Roberto’s new chargers.